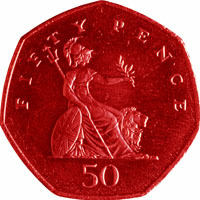 Labour will restore the 50p tax rate if they get back into power, Shadow Chancellor Ed Balls announces. The tax, which will charge 50 per cent tax on all earnings over £150,000, restores an old Labour policy dismantled by the Conservatives, and would raise £10bn over a Parliament, Mr Balls told the Fabian conference today. In March 2012, George Osborne reduced the highest rate of tax to 45p in the pound. At the time, Osborne claimed it had raised less than Labour expected – only £1bn or so extra. Tell Channel 4 News what you think about the 50p top rate of tax pledge by filling in the survey below. Mr Balls also said cutting taxes for the richest was unfair at a time of hardship. “For the next parliament, we will restore the 50p top rate of tax for those earning over £150,000. Mr Balls also promised that Labour would erase the deficit by 2020 if they come into power at the next election, promising that Britain would be running at a surplus at the end of a new Labour parliament. The two sides have drastically different views on the symbolism and actual value of a 50p tax. Motive: Labour want to raise taxes on the top one per cent of earners to allow them to erase the deficit. Morals: The tax is a symbol of fairness for Labour: those with “broadest shoulders should take the greatest burden”, Ed Balls said in a speech on 25 January 2014. The rich shouldn’t get a tax cut when “ordinary families” see income fall and taxes rise, he said. Money: The tax raised “next to nothing” Osborne claimed – £1bn in 3 years. Motive: The Conservatives said that the 50p tax rate damaged the economy and drives away wealthy entrepreneurs by crossing a “psychological barrier”. Morals: Economists backing the Tories said that the 50p tax band was punitive to the rich: one of the 20 signatories on a letter to the FT against the tax said the the tax sent the message: “we don’t like you, you’re there to be penalised”.